As we head into the fall months I have noticed the smell of cinnamon and vanilla are filling my senses. When I think of vanilla the first thing that pops in my head are cookies and other baked goods. I had never really been a fan of scented soaps until I hit my late teens. Since then I have become a huge fan of scented soaps, and look forward to new scents and varieties entering my life. Since the one of the smells of the season is Vanilla it seems more than appropriate that SoapBox Soaps has released a new liquid soap. This entry was posted in Giveaways, Household Items, Personal Products, Reviews and tagged giveaways, Gluten free, liquid soap, non-gmo, product review, Soap on October 19, 2016 by Jennifer. I am a simple girl, and this simplicity extends to the soaps I use. It is starting to extend to the products I use in my home. My two cats affect my life in many ways, and as of recently in the products that I use around my home to clean myself, my home and even them. Since I am already a castile soap fan for my facial cleanser I have been wanting to see what else I could do with it. After some quick research I learned that castile soap can be used for anything from washing vegetables to a laundry detergent on over to a body wash. Lucky for our cats, this is also a safe soap to use on animals, so bathes are eminent for 2 creatures soon. Back in December I had the opportunity to review CastileSoap.com and recently they added liquid castile soap to their monthly subscription box. Since they specialize in only castile soap based soaps I was intrigued and eager to sample this new offering. The great thing about castile soap is that it utilizes the natural and essential oils to add benefit to each soap. Castile Soap is not only bio-degradable but also organic, and contains no harsh elements, and it is safe to use on children and pets! This entry was posted in Giveaways, Monthly Subscription Boxes, Personal Products, Reviews and tagged all natural, body wash, dish soap, facial soap, Monthly Subscription Boxes, organic, pet wash, pure ingredients, Soap, Vegan on May 16, 2016 by Jennifer. Back in the early 2000’s I was having issues with adult acne, and other blemishes on my otherwise flawless face and while searching for remedies, Castile Soap was suggested to me. At the time, I had never heard of castile soap or where to even locate it. As luck would have it, there was a small supply at our local retail store. I purchased a simple bar of castile soap and within a couple of days of use, I discovered that my blemishes cleared up and my skin overall looked healthier. I continued my daily use of this new “wonder” soap and as time passed it was as though my face went back in time. As I have aged about a decade since that discovery, I am now finding those old issues cropping up. Since these issues are cropping up again, I began looking for a comparable castile soap to replace my formerly beloved bars. In my searching I came across a company by the name of CastileSoap.com. CastileSoap.com specialized in only castile soap based soaps. while utilizing other natural and essential oils to add benefit to each bar. Castile Soap is not only bio-degradable but also organic, and contains no harsh elements, and it is safe to use on children and pets! This entry was posted in Giveaways, Monthly Subscription Boxes, Personal Products, Reviews and tagged all natural, Monthly Subscription Boxes, organic, pure ingredients, Soap, Vegan on December 14, 2015 by Jennifer. As we travel through this crazy path we call life, we are met with a lot of unknowns. When we are children our parents try to tell us to appreciate life, and that one day you will wake up 40 and wondering where the last 20 years went. I have always thought that it is important to have memories and moments. For many people they have the ability to turn those moments into not only memories but something more tangible. I love hearing the stories behind a company – what makes them start, why did they chose now to take this leap and where do they want to end up. When I find companies that are inspired by moments and memories rather than the alternative, it always gets my attention – Soap.club has done just that. Soap.club is a small family run soap business. The business was inspired while the founding couple was on vacation on the Hawaiian Islands. While there they saw soap making in its purest form and set out to create this same soap. 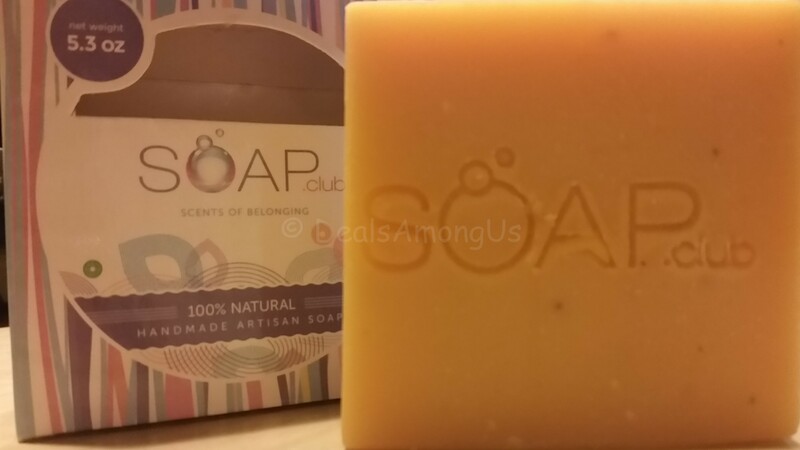 Soap.club uses sustainable ingredient sourcing and achieving ethical trade partnerships. This entry was posted in Giveaways, Monthly Subscription Boxes, Personal Products, Reviews and tagged all natural, Monthly Subscription Boxes, product review, Soap on November 27, 2015 by Jennifer. 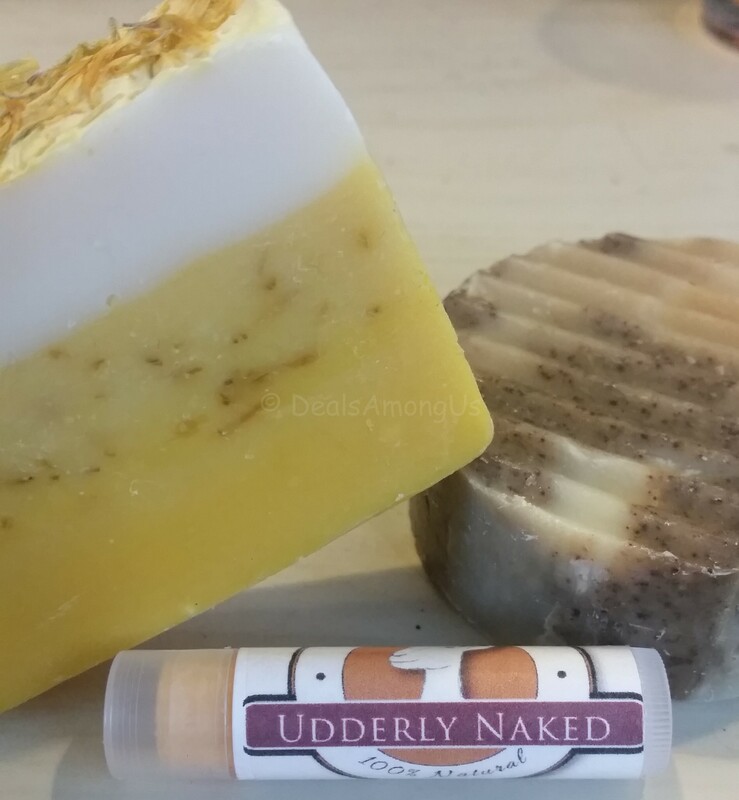 Udderly Naked Goat Milk Soap Holiday 2015 Giveaway! UDDERLY NAKED GOAT MILK SOAP GIVEAWAY!!! I have mentioned that I love artisan soap and this soap is no different. I had the opportunity to review Udderly Naked Goat Milk Soap back in April. Since April I have been swapping this out on a rotating basis with other soaps and love it each time I use it! I am also happy to share with you all that Udderly Naked’s Pumpkin Pie Soap recently won the Best in Show at the American Dairy Goat Association’s bath competition show – so help me in congratulating Wendy and Udderly Naked Goat Milk Soap! This entry was posted in Giveaways, Personal Products and tagged body lotion, Body Products, giveaways, holiday 2015 gift ideas, natural products, Soap on November 10, 2015 by Jennifer.